Obviously there's not a module bay on the FS-i6x and I've seen a few videos of the module just zip-tied to the transmitter. I've also seen a few 3d printed mod bays and one video of a feller who just epoxied the module to the back of the tx. The profile on the IRX4 is very slim when it's removed from the case, so I'm considering installing it inside the tx. I've already got a rough design going to remove the AAs and mount an external lipo to the bottom (or sides) of the tx. this would give me plenty of room either inside the factory battery box or to simply screw it to the outside of the battery tray. All I should need then is my ppm out from the tx board (pin 3 on i6x), power, ground and an extra 2 position switch. 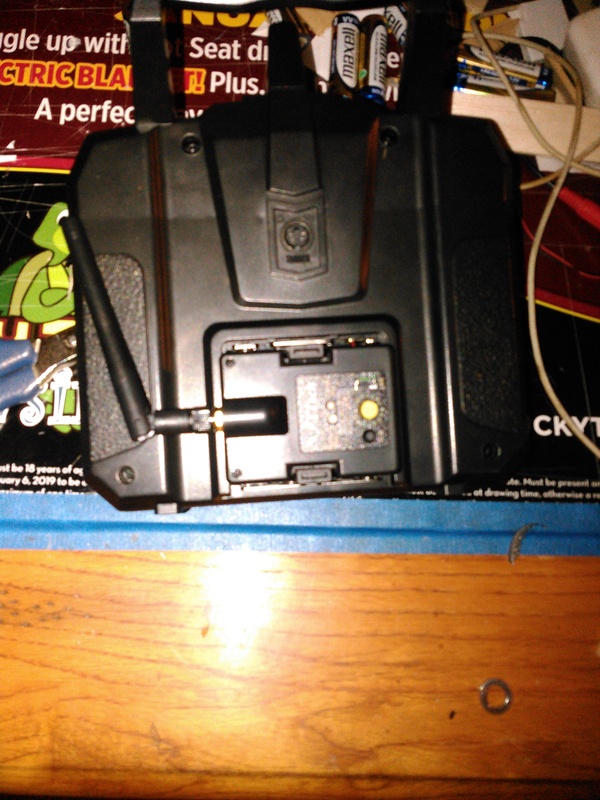 I'm gonna rob one of my old FMs for the switch and see about getting the battery out of the way tonight. I'll shoot a few pics once I've actually made some progress. Now, if this dirty dog just came with 3 more mixes... lol. Just a recap, I've decided to use the battery bay itself to house the IRX4. With the module orientated sideways, the module friction fits very well into the battery bay. This should make it easier to route the signal and power wires to the IRX4 as well. I've already got a start on my battery relocation so the use of the battery bay won't be an issue. I'm going to run it with the antenna directly mounted to start with. If I'm happy with the performance, I'll move it up to the top of the TX. Pics soon! Well lo and behold, yesterday was a PERFECT flying day. So needless to say, I didn't get any work done on the tx last night. I did snap a few shots so you can see what I'm aiming for. 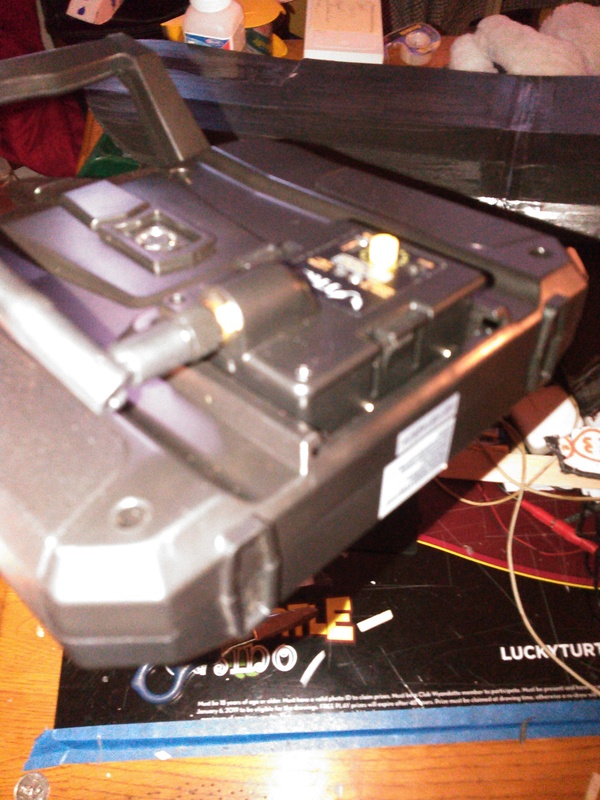 Basically the only real cutting I'll have to do this way will be a small slot in the battery tray for the 4 pin connector to fit through. I'll keep the switch on the back side of the TX so I don't have wires strung between both hemispheres. I'll most likely run bullet connectors between the DC source and the switch for the same reason. I'll get her peeled apart tonight so I can show a better look at where I'm tying into on the board. Got some sweet FPV shots from my Golden Goose last night. It's in the scratch builders category, I wound up cutting a hole in the nose and shoving my cell phone in it with the camcorder running lol. I'll be interested to see how you do the battery. I just got a i6X and was looking for lipo mods for the battery. That antenna placement is not ideal, you don’t want any metal near the active part of the antenna, which is the top third on the sides, up top in free air would be better. As a minimum I would want it out the side of TX body. That's my plan, I don't have an extension cable at the moment but I was planning to extend up to the handle. I've also got a longer antenna as well. Once I get the tx mounted I'll work on the antenna placement. Thanks for pointing that out! I am enjoying watching the ingenious way you are going about this mod, keep it coming! I added a note on my "new toy" thread. I hate to admit but I've been waiting on my new jumper to come in before starting the mods. I hate not having a TX ready to rock at any given time. Even though I don't have it bound to anything right now lol. 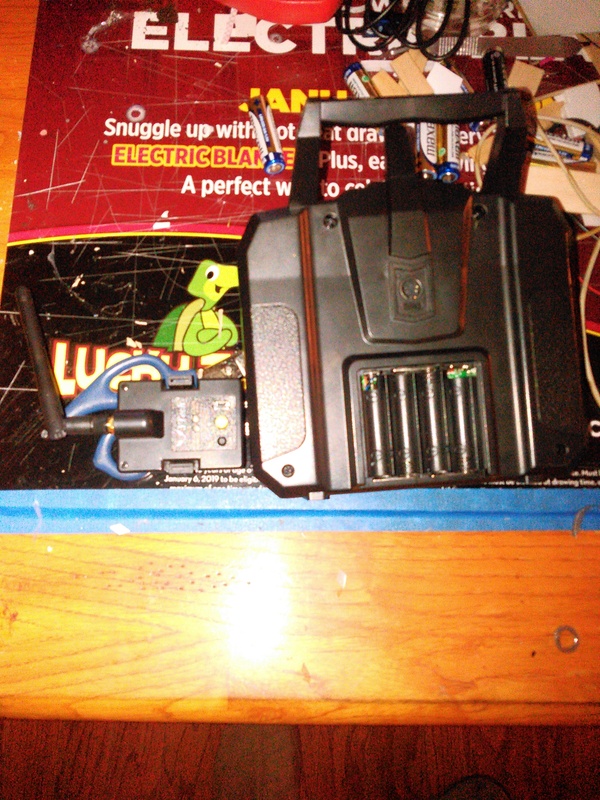 The jumper comes in today so hopefully I can catch an hour or two to get started on the lion battery conversion. I'll post pics if I get to it tonight.